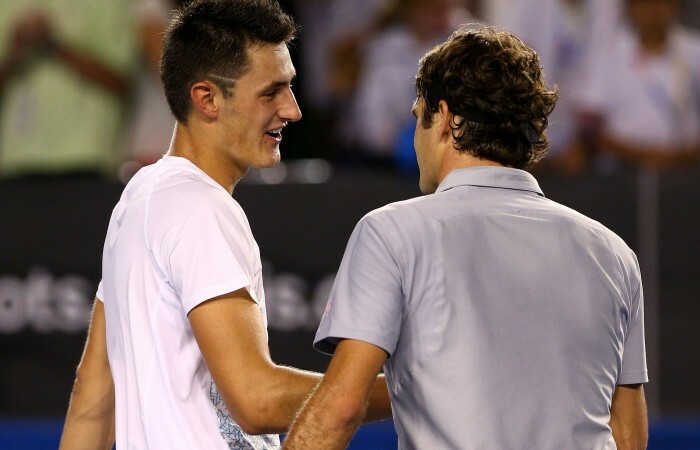 Roger Federer closed down Bernard Tomic's Australian Open run on Saturday night. Tomic’s 10 straight wins this summer may have instilled the local hope with unshakeable belief, but it counted for little as Federer swept imperiously to a 6-4 7-6(5) 6-1 victory in less than two hours. Tomic was anything but poor, at times looking every bit a future Grand Slam champion, but the great Swiss had every answer in a high-quality third-round contest. “He has had a great run and really got the best out of me tonight, so I hope he can keep it up. But just like in the fourth round last year and in Davis Cup in Sydney in 2011, it was Federer who brought the young man down. Only Canadian Milos Raonic, who Federer has never lost to either, stands between the 17-times major champion and a 35th consecutive Grand Slam quarterfinal appearance. 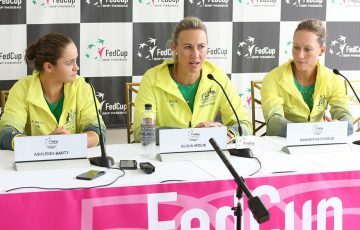 “A lot of players, when you play these sort of players like Roger or Novak, you lose belief before you get into the match. “Eighty or 90 per cent of players that play the top guys, like with Roger, you lose your belief. Tomic fought tooth and nail to stay in the second set, saving six break points to force the tiebreaker. He produced a brilliant running forehand to jump to a 4-1 advantage and seemed poised to level the match up. Federer was in full flight now, breaking Tomic for 2-0 in the third with a ridiculous cross-court forehand swat before grabbing a double break with an off-forehand winner and serving it out after one hour and 58 minutes to notch a record 250th Grand Slam match win.